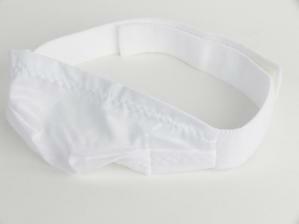 Chin straps are often used for those patients who experience problems associated with mouth-breathing during their CPAP therapy. This Respironics chin strap is a favorite of many CPAP users for its simplicity, comfort, and use of the CPAP mask headgear to hold the mouth closed through therapy. Chin straps are often used for those patients who experience problems associated with mouth-breathing during their CPAP therapy. A chin strap can solve these problems by holding the mouth closed during sleep, and may prevent the patient from having to wear a full face CPAP mask. Included In Box: Chin strap Only.